Product prices and availability are accurate as of 2019-04-20 03:15:59 UTC and are subject to change. Any price and availability information displayed on http://www.amazon.com/ at the time of purchase will apply to the purchase of this product. The Original Vacu Vin Wine Saver was the first of many patented Vacu Vin inventions and the first of its kind on the market. Vacu Vin' has revolutionized the wine preservation process. It is now used in over 35 million households and more than 80 countries throughout the world. 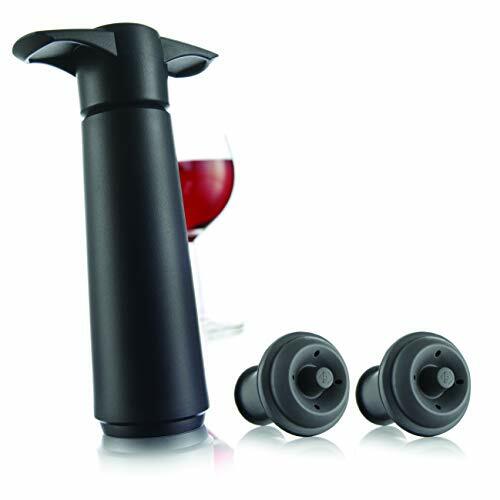 The Vacu Vin Wine Saver extracts the air from an opened wine bottle and re-seals it using a rubber stopper. The airtight vacuum inhibits the oxidation process that is responsible for the deterioration of wine. The vacuum is created by placing a stopper into the neck of the opened bottle and pumping it until you hear the patented "click". The "click indicates" when a sufficient airtight environment has been established. 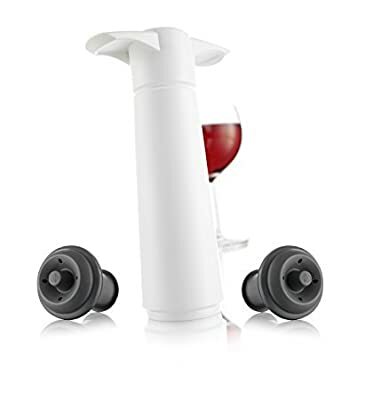 Simply pull stopper to break seal and remove, pour your favorite wine when ready to enjoy, reinsert stopper and remove air to seal again. Reusable stoppers last for years. Hand wash only. Not suitable for sparkling wines. Vacu Vin was established in 1986 in Delft, the Netherlands. For over 30 years this family-owned company has evolved into the leading brand within the housewares industry, offering an array of barware accessories and kitchen gadgets that are characterized by their quality and innovative functionality. Vacu Vin's product portfolio also includes award-winning Wine Coolers, Pineapple Slicers and other gadgets now used in over 35 million households and more than 80 countries throughout the world. A specialist, European in-house design team are constantly striving to add new items to the company's ever-evolving product portfolio to satisfy the demands of the savvy, modern-day consumer.